*Purchase or rent this product by sending your quantities to our bid room. 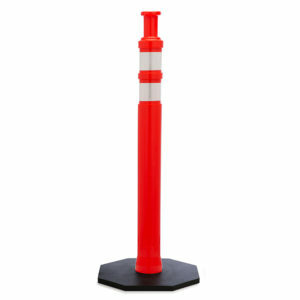 AirportBarricades.com offers competitive rental and purchase pricing for Low Profile Airport Barricades. Give us a call for your next project so we can help you get equipped for the job. 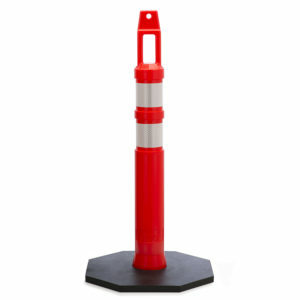 Our low profile airport barricades were designed to withstand Jet blasts and are rated up to 70 MPH. When completely filled with water, our airport barricades weigh 270 lbs. 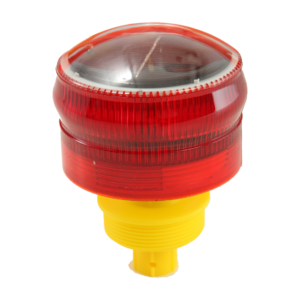 The barricade features two threaded female openings for lights, which can also be used when filling with water. The bottom of the barricade features a drain cap to empty. Each side of the airport barricade is covered with 6” high-intensity reflective orange/white collars. 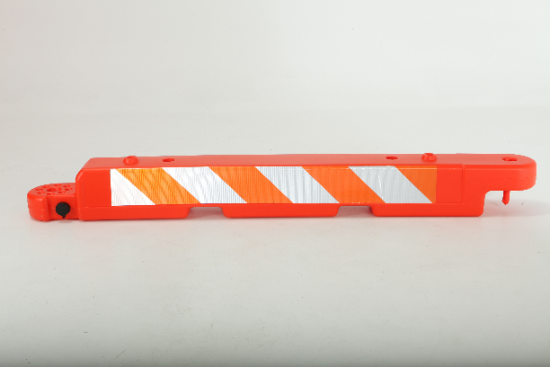 Transporting and installing the airport barricade is made easier due to the available fork-lift slots in the side of the barrier. 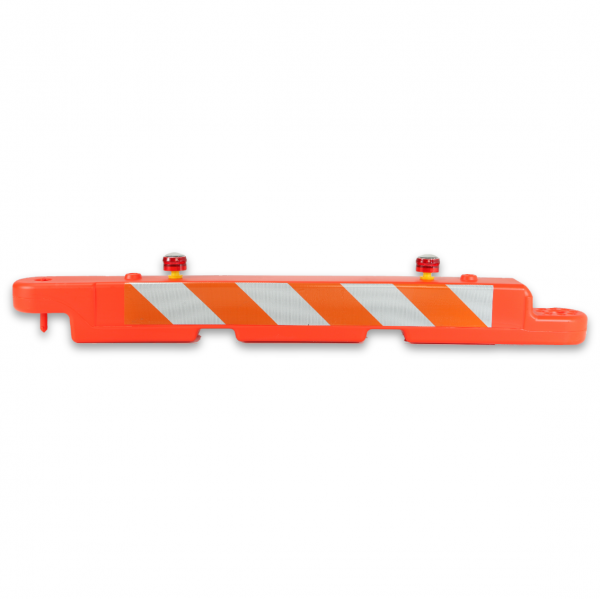 To install the barricade, simply line up two barricades and drop the pin (included) between the two adjoined barricades to create a solid link. Then thread your lights, and/or install your airport flags if necessary. If you are interested in renting airport barricades, or any of our other traffic control products, we offer nationwide shipments using custom designed steel cages. The cages allow the end user to place the airport barricades inside once the project has been completed. The shipping cages eliminate the need for contractors to palletize, band, or shrink wrap our barricades for the trip home. We let the contractors do what they do best, and leave the logistical hassles on us. 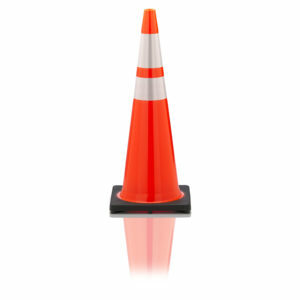 If you have questions on how to rent our airport barricades, or questions about lead times, pricing or anything else related to your upcoming project or bid, contact us today. 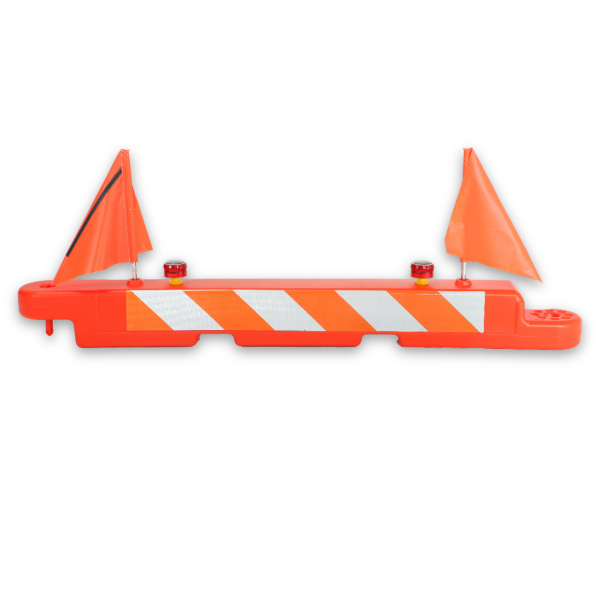 For rental and purchase pricing on low profile airport barricades, be sure to contact the bid room! Our quotes typically have a same-day turn around.